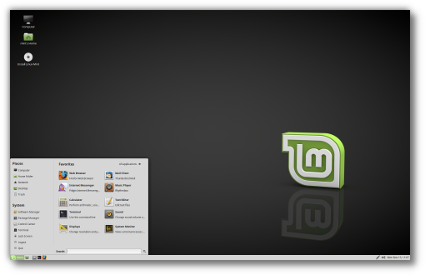 The team is proud to announce the release of Linux Mint 18.3 “Sylvia” MATE Edition. “What’s new in Linux Mint 18.3 MATE“. Announcements will be made shortly with instructions on how to upgrade from Linux Mint 18, 18.1 and 18.2. 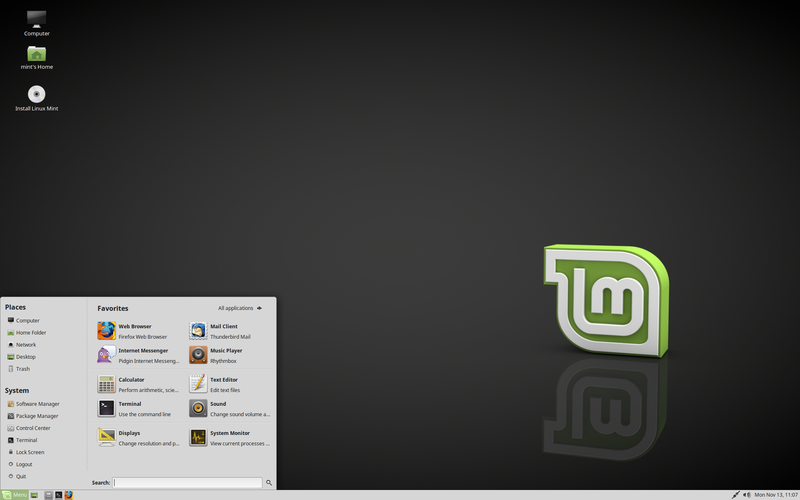 Previous Previous post: Linux Mint 18.3 “Sylvia” Cinnamon released! NIce OS and I really want to try this on my laptop.Thanks for sharing. Mobile Broadband is not working . Not able to add new connections. I have been testing the beta, as a consideration to replace the KDE version of mint due to it’s end of life, and I must say I am impressed. Thank you Mint Team for a job well done. Great work. Its perfect working on Win10 UEFI based Laptop with Linux Mint 18.3 Sylvia UEFI. Not any problems so far. Dual Boot is working. Both systems no problems. I have an older Acer Aspire laptop (netbook) on which I have been running Mint for years, Should I run (32-bit) Mate, or wait for Mint 18.3 Xfce? I don’t want use Mate ‘temporarily’. Run Mate, Xfce consumes much more RAM. Both are pretty fast and old fashioned. Mate’s Caja has more options than Thunar for example. -if like mate than just go with it because at least all those 3 DE use less ressources than windows . -you might get different results in defferente Hardware*. Did you install the tlp package to save battery power? It helps a lot. But one question: where do I find these System-Reports (this new too you write about?? I can’t find it in my menue at all. Do I have to install it via Synaptic or where do I find it?? A bug still present since 18.2: when you choose a dark background in caja, the font of files and folders name stays dark, which make it quit unreadable. Congratulations Clement and all your team, I loved the update to 18.3. Receive a warm greeting from Mexico!! I just upgraded from Linux Mint 18.2 to 18.3 “sylvia” . I just have one issue with hibernate. actually this issue was since the i started using Linux Mint 18.2. When its wakeup from Hibernate nothing happen! same as restart ! I don’t know if it didn’t save the session or couldn’t read it when its opened ! I hope find solution for this. Nice! One thing: Can I get Gnome Online Acconts for MATE? I’ve installed it manually, connected my account… But how do I enter Google Drive from files manager now? Works great!! Thank you so much!! – If we want to change the town, it’s impossible if the keyboard is not QWERTY (but I can pick the town on the map). The installer should first ask for the keyboard and then, for the town. It shouldn’t propose to use the keyboard before configuring it. – When choosing the keyboard “Français”, the default keyboard is “Français (variante obsolète)”. It should be better to have the default keyboard “Français (variante)” because when I type ²³, œŒ is shown on the screen. Great job Mint Team! I upgraded from 18.2 and everything worked exactly as advertised! Not a snag or a problem. Upgrade was seamless and fast. Mint is by far the flagship of Linux, in my opinion. It just works. Loving the Overview Map in Xed and the enhancements to the Backup Tool – also the fact that we can now require a username in the login window. Thank you for a wonderful Mate release! And anyway 18.2 was a crawling OS so i guess these grapes are sore too, so i am switching back to Mint mate 17.3 , the best Mint till date. Firstly, Mint Mate Sylvia is a delight to use – so thank you to the Mint Team. Secondly, I hope that this info might help other Mint Sonya & Sylvia users too. Wireless connections out of the box, no more configuring old M$oft Windows drivers, mod-probing around, etc. etc. Simply purchase an Edimax N 150 Wireless High-Gain USB Adapter, FW-7711UAn V2 , plug it in, press the WEP key, enter the wireless key and your connected to the Internet. Cost? Circa £11.00. plus £6 vat and delivery. NB. The enclosed CD-ROM installation instructions didn’t work for me and were not needed in any case. WEP key? Pretty dangerous! WEP can be hacked in a couple of minutes. Use WPA2-AES instead. Thanks for the Edimax tip. Using built in network controller now using rt2800pcidriver, wifi drops sometimes. Not a Mint problem though, happens with all distro’s. All the upgrade process was ok, no error was reported, but this new features was not installed. I managed to install them from Synaptic. Except the new login window because I don’t know the new name. Before the upgrade I had Redshift so I can’t tell if this feature would be installed or not. I think not. Besides this issues GREAT JOB!!! Congratulations and thank you. Have you checked the “Commonly asked questions” section at https://blog.linuxmint.com/?p=3462 ? On LinuxMint 18.2 from the System Settings > Network I could add VLAN interfaces but now I can only add them from the network manager icon down by the clock. Was this change intentional and is it possible to add the VLAN option back to the “+” button inside the System Settings > Network control panel? As an add-on to my previous post: When VLANs are configured with virtual interfaces and I turn them off they completely disappear from the Network Control Panel and the only way to turn the interface on is to go through the network manager icon > network connections to reenable the virtual network interface. This is a huge step backwards from 18.2 where I could do all this within the Network Control Panel and I never had to the network manager icon by the clock. Hi Mint team. Just a brief note to say that the issue with AMD APU whereby the installation failed (I was presented with just a blank screen) was worked around by using a separate graphics card. That however, defeats the objective of utilizing the on-board graphic capability of the APU. Now, I discovered, that the 18.2 and 18.3 versions of linux Mate work without any issue – the AMD APU on board graphic card works without issue. I use my PC for Office Work, viewing video clips, photography but I am not a gamer. The APU in my PC is an old A10-5800K Socket FM2. Old kit but very usable with Linux Mint Mate. After abandoning several other KDE distro’s because of instability, I’m back again at Mint! This time with Mate. Not as modern and configurable as KDE but quite stable and fast and better included software than Xfce in my honest opinion which is too simple. Well done Mint team! Worth a donation. However some point of (security) critics: Why not enable the firewall by default and why not set the root password at install? A blank root password is really a bad idea. During the installation, the root password should be set to the same one as yours. How/where did you find the blank password? That’s a surprise for me. Ok, I’ll ask Clem about it. I completely missed it before. In a fresh install of Mint/MATE 18.3 (64-bit) I’ve noticed a problem in “Settings/Login Window” where enabling “Draw user background” (default) does not automatically display the user selected desktop background image in the login window but instead continues to show the default Mint background (the Mint logo on a black background). I have to manually select the background image instead. By comparison, in Mint/Cinnamon 18.3 (64-bit) enabling “Draw user background” in “Settings/Login Window” automatically displays the user selected desktop image without having to change it manually in “Settings/Login Window”. Is this an actual problem? I would think that the “Login Window” settings would operate the same no matter if it’s Cinnamon, MATE, or XFce. Anyway, can anyone check this themselves and see if you can confirm this? @Monsta – Ah, that makes sense then. I wasn’t sure if the changes were made through the “name your DE”-settings-daemon” or not. No big deal if it doesn’t happen since it’s easy to change the background manually. And wouldn’t it be nice to be able to “Reply” to replies? It was so before, but the blog turned out to be too narrow for 3-4 level replies, so they were displayed like columns of text… So it was changed to have only second level. You can reply to the same first level comment to continue the discussion in another second level comment. It would be nice if 18.3 did not also upgrade firefox to 57 because most of my addons do not work. Uninstall Firefox 57and install WATERFOX instead : https://bintray.com/hawkeye116477/waterfox-deb/waterfox/56.0.1. Scroll down, it is under “Downloads”:waterfox_56.0.1_amd64.deb. EVERY plug-in, theme, configuration as it was in Firefox 56.0, only FASTER. You’ll be pleasantly surprised. I hope this will help you. Mint is my favorite since many years already. Bought myself a nice small ASUS 200H netbook a few weeks ago. There is no sound possible with any Linux, with Win it works. I know this is an issue with this ASUS type of netbook. I hope you can have a look for a solution? Would be great! Besonders gefällt mir das Flatpak-Pakete eine eigene Rubrik haben. Alledings wäre es gut wenn man die Flatpak-Pakete als solches eindeutiger kennzeichen würde. I have come back here, because I found a mager problem on LinuxMint, hitting all distributions it seems. The problem is: Brasero and other burning-programms have stopped working for me and other Users as well. Brasero refuses to burn audio-CDs and even mp4-Movies on disk. Everytime I get “burning-process failed with internal error”. Then I tried out xfburn and oterhs… but nothing worked and I would need a working burning-programm for audio-CDs and video-DVDs. No solution to this problem since then. Can the Mint-Team do anything on this to geht this back working?? We Users need a working burning-program for audio- and video. Thank you!! I had already tried this solution with installing brasero-cdrkit, but this did not fix it up for me and others as you can see in the launchpad-reports. So what can be done to get this back working?? opening brasero via Terminal and burning the disc and there it works I have my first successful Audio-CD. The question is: why is that?? Why the hell does Brasero not work without Terminal the normal way?? Does anybody have an answer on that?? I hope, I can help the developers with this.